I’ll lift up the curtain and tell you I rely on Google Alerts to help me find blade server related topics to write about. This is the best way for me to catch news, or topics that would otherwise be missed. What is the HP BladeSystem Matrix? HP announced a while ago a new product they call the HP BladeSystem Matrix. Okay, well, it’s not really a “product” as much as it is a solution. 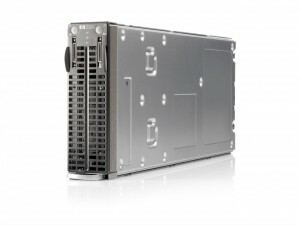 HP calls the BladeSystem Matrix “a cloud infrastructure in a box” – which is a good way to look at it. 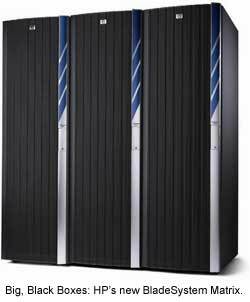 The infrastructure that is “the Matrix” is simply HP’s BladeSystem chassis, loaded with blade servers and attached to an HP storage SAN. Add to the mix some automation, via templates, and you have the BladeSystem Matrix. The secret behind this unique solution is the “Matrix Orchestration Environment“, which combines automated provisioning, capacity planning, and disaster recovery, with a self-service portal into one “command center.” However, this is not a single software, but a combination of HP Insight Dynamics – VSE and Insight Orchestration . What’s In a BladeSystem Matrix? NOTE: No transceivers/SFPs included so that you can choose these options – need to add to order. 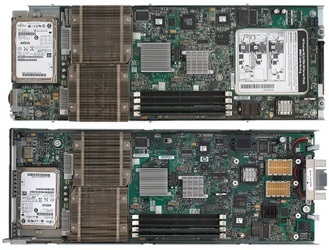 NOTE: Two  Fibre Channel SFP+ transceivers included with each module; therefore, 4 total transceivers per redundant pair. The part number for HP BladeSystem Matrix Starter Kit (hardware components) is 535888-B21. It is important to note, the starter kit does not contain any blade servers or storage. Those must be ordered separately. The part number for HP BladeSystem Matrix Starter Kit (software components) is TB462A. Once you have the Hardware and Software Starter kits, then you’ll need to purchase the HP Professional Services – for installation; the Central Management Server (CMS) – a BL460 with 2 CPUs, 12GB RAM; additional blade servers and the storage that you need. Once again, you’ll need to purchase the HP Professional Services – for installation; then your blade servers and the storage that you need.